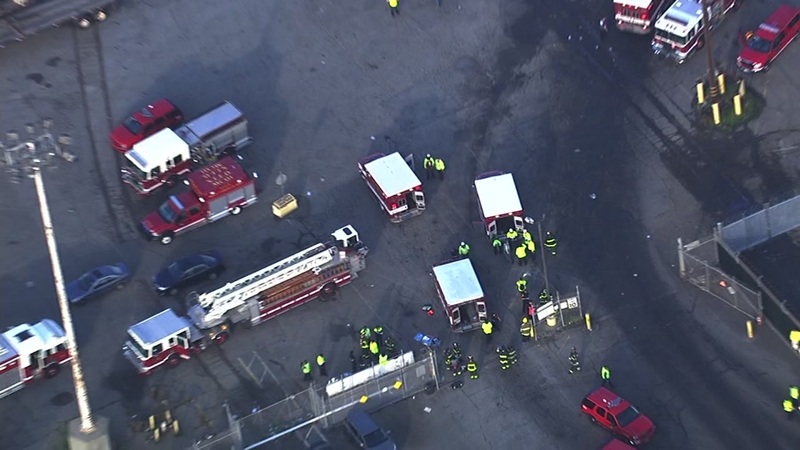 SAN FRANCISCO (KGO) -- Two people were hospitalized Friday morning after a hazmat incident at a recycling center at San Francisco's Pier 96, according to fire officials. Around 8 a.m., firefighters responded to a report of hazardous materials at Recycle Central at Pier 96, located at 1000 Amador St., according to fire officials. Trash and other recycling material at the facility had apparently caused 26 people to fall ill. The two people hospitalized suffered non-life threatening injuries, fire officials said. Currently there is no threat to the public, according to fire officials. The recycling facility is operated by Recology SF.